Xchange Solutions, an independent 1031 exchange facilitation service. San Jose, San Mateo, Santa Cruz, Reno, Seattle. Xchange Solutions is an independent 1031 exchange intermediary service, founded in 1996 by Kevin Hereford to provide the most professional and complete intermediary service in the industry. Your facilitator can help you with local and national exchanges. Offices are located in San Jose, San Mateo and Santa Cruz, California, Reno, Nevada and Seattle, Washington. 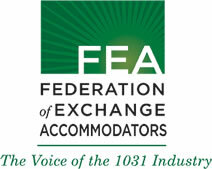 Xchange Solutions is a member of the Federation of Exchange Accommodators, the largest national professional association providing 1031 education. Over 50 years of combined 1031 exchange experience from simple to complex. 20 plus hours of tax code and related education per facilitator every year. In-depth knowledge of relevant sections of local, state and federal tax codes. 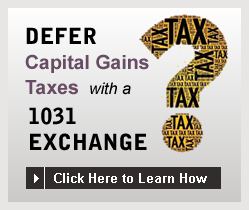 Fluent with all types of 1031 exchanges. One of the few specialists nationwide in reverse and improvements exchanges. Experience and knowledge from handling thousands of exchanges, available free of charge to you, your accountant and your attorney. Maintains a $3,000,000 fidelity bond for the benefit of our exchangers. Offers a special bank withdrawal documentation that requires the exchanger's signature before the funds can be withdrawn. The tax code is written so the exchanger cannot have constructive receipt of the funds. This document provides peace of mind for exchangers. Offers several options for the safe-keeping of your funds during the transaction. There's no risk of agency or related party issues which could lead to the disallowance of the exchange. We'll work with the closing agent of your choice. Xchange Solutions is a Qualified Intermediary meeting all of the "Safe Harbor" requirements issued by the Treasury Department and the Internal Revenue Service. Xchange Solutions facilitators teach over 100 professionally accredited classes about 1031 exchanges to real estate agents and accountants each year in California, Nevada and Washington. You can count on us to help you clearly understand your options so you are able to make informed decisions about your transaction. Our knowledge and expertise is also available for free to your accountant and attorney.